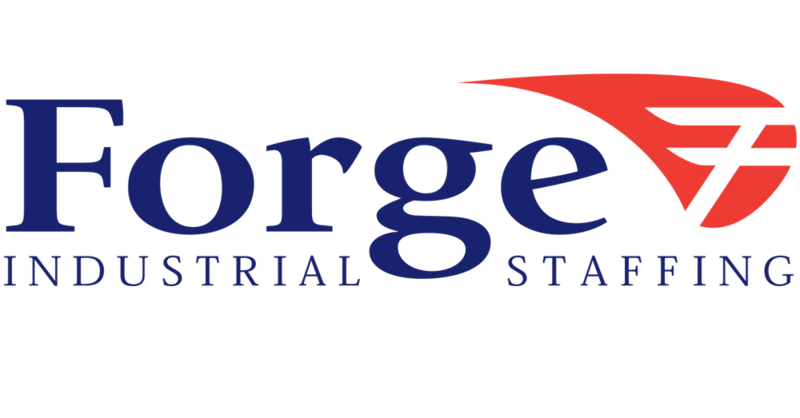 At Forge Industrial Staffing safety is our number one priority. It is our goal to have each and every one of our employees placed in a safe environment. We strive to make sure that all of our employees are remaining conscious of safety at every turn. Most industrial jobs have inherent risks that can lead to serious injury if an employee is not following the proper steps. Every accident and injury is preventable on some level, and the first step in prevention is to continuously be aware of the dangers that are part of any work environment. Below are some simple guidelines that will help you keep Safety First! Always wear proper Personal Protective Equipment (PPE) as directed by Forge or our client. Your local Forge office keeps a stock of common safety equipment that is available to anyone working a current assignment. Even if other employees are not wearing the PPE properly, make sure that you are always doing so and that you understand the requirement for where and when PPE is to be worn. Always follow proper form – lift with your legs, not your back. Don’t be afraid to ask for help. Materials that weigh more than 50 lbs. in most cases should be lifted by more than one person in tandem. If something is too heavy for you, bring that to the attention of your supervisor immediately. Every company maintains Material Safety Data Sheets for the materials used at their location and are familiar with any dangers those chemicals pose. Always handle any chemicals – whether they’re in liquid or powder form – in accordance with the guidelines of the job site. Use proper ergonomics. Always standing or sitting the exact same way can potentially put undue stress on some parts of your body. Do some form of stretching before your shift for the muscle groups that you’ll be using in your job. Vary your position, even if only for 10 minutes during an hour, to help promote circulation and relieve stress on muscles in the arms, back and legs. When working in a repetitive fashion, particularly with the hands and wrists, learn ways to vary your approach in order to rest the joints and muscles. Most locations have a good understanding of ways to work smart to prevent injuries from becoming a problem for their workforce…never be afraid to ask someone for advice. At the medical facility, you will have to submit to a drug/alcohol test. When you are released, report back to Forge with any medical documentation. If you are restricted to light duty work, an assignment that meets your restriction guidelines will be provided if one is available.